I didn't know his name until now, but Len "Uncle Leo" Lesser has passed away. He was, depending on the point of the episode at which you tuned in, either "an Adonis" with "beautiful features and lovely skin," or "bald and paunchy" with "all kinds of sounds emanating from [his] body twenty-four hours a day." 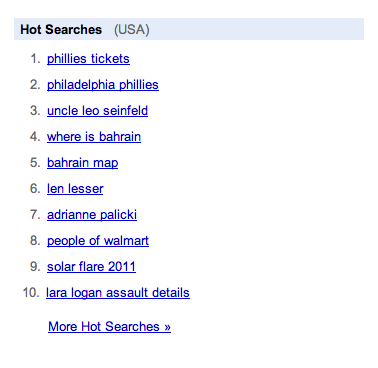 In unrelated, but even bigger news, I infer that Phillies tickets went on sale today. And some people became aware of a place called "Bahrain."